At nearly the cruising altitude of a transcontinental jetliner, Jim Morrison clicked into his skis and peered down a sheer panel of Himalayan snow. One of the world’s most coveted ski lines lay below him—a precipitous couloir that split the face of Lhotse, the fourth highest mountain in the world. Below, the rock-walled ribbon of snow fell away for thousands of feet before opening up into the formidable glacial ice and snow of the Lhotse Face. The 12-hour climb was behind him and his partner. It was September 30 at 2:22 p.m. No other teams were on the mountain. A slight wind kicked up, stirring the minus-15-degree air. Morrison, a longtime Tahoe resident and successful luxury home builder, breathed into his oxygen mask and committed to his first turn—the first from the summit of Lhotse ever. The right-hand slash down the ultra-steep summit block sent sugary snow cascading down the couloir with Mt. Everest in full focus just to his right. “I made a couple really controlled turns with the snow falling away and then basically pointed it over a small cliff and crashed into the snow and self-arrested,” says Morrison, seated at a counter in his lakefront home in Tahoe City. His partner, acclaimed ski mountaineer Hilaree Nelson, followed, and they slowly skied under the hulking pyramid of Mt. Everest into the shadows of the rock-walled gut of the couloir. The snow became firmer as they descended, and then gave way to a mix of slippery wind-affected snow and deep sugary crystals that grabbed and caught their skis just as they entered the narrow pinch-point of the couloir. 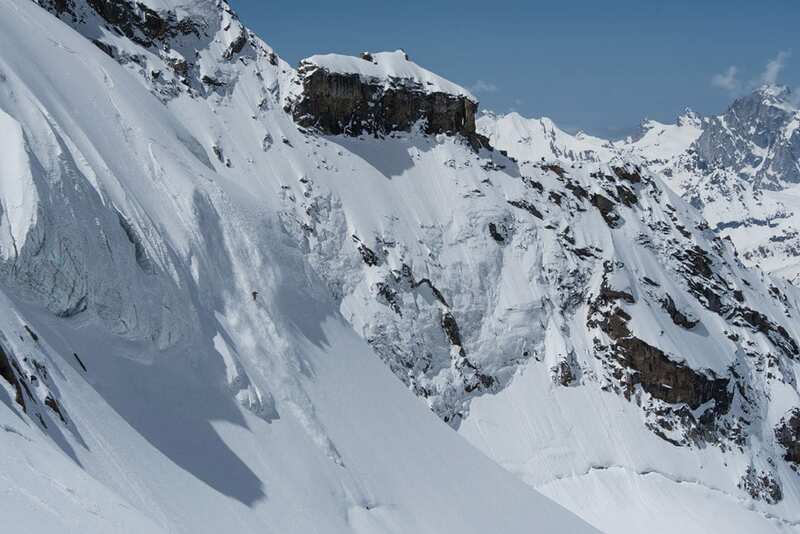 With the crux of the ski line behind them, not to mention the harrowing climb, the duo took in the moment and let the fact that they had just completed a historic ski descent of one of the world’s most iconic mountains sink in. “We got to the Lhotse Face and we were laughing and linking as many turns as our lungs could handle,” says Nelson. For Morrison, the feat capped a remarkable two-year run of climbing and skiing the world’s most demanding mountains. It marked his ascendency as one of the world’s most talented ski mountaineers after a long and remarkable ski career mostly conducted outside of the industry limelight. But more than anything, it was a testament to the perseverance and determination of a man who overcame unthinkable tragedy to find peace, healing and challenge in the thin air of the world’s highest peaks. Morrison grew up in Walnut Creek, California, and from an early age Tahoe was his winter playground. The son of parents who would pack him and his older brother John into their 1976 Westfalia Volkswagen van for long summer road trips, Morrison grew up with a love for the outdoors. “In the winter they would ask if we wanted a ski trip or a season pass and we always chose a season pass,” says John Morrison, also a Tahoe local and accomplished backcountry skier. Morrison would chase his older brother around Alpine Meadows, and then Squaw Valley, until one day in high school the chase ended and the brothers began skiing as equals. “By the middle of high school, Jim had caught up,” says John. Jim was the type of kid who would watch Greg Stump’s seminal 1988 ski film The Blizzard of Aahhh’s on repeat and then go out to Squaw Valley and try to recreate those moments, imagining himself on a big mountain slope as he tested his hop turns. “When I was in junior high and high school that is what I would tell my parents—‘I want to be a skier.’ They were fairly dumbfounded with the concept,” says Morrison. He loved skiing so much that he began traveling to chase winter, ending up in New Zealand between his junior and senior years of high school. Along the way he informed his teachers that he would not be returning to regular class, and ended up finishing high school by mail through the University of Tennessee so he could pursue the sport. Morrison coached skiing in the winter in Tahoe and then worked construction in the summer—a familiar seasonal rhythm for many Tahoe locals. He spent time in Chamonix, testing himself in the vertical world of the high Alps, and competed in early big mountain skiing competitions. But soon an opportunity floated his way that would split the singular focus he had trained on skiing. The Poulsen family, who founded Squaw Valley and still owned much of the land surrounding the ski resort, were selling lots off of Winding Creek Road. The family asked for a $5,000 deposit from those interested in the lots. Morrison had $3,000 to his name from a recently completed deck job. But he knew the Poulsens, and talked them into taking his $3,000 while promising to come up with the rest. Soon he had found an investor and marshaled many of his skiing friends to work on the Squaw Valley project. When the home was completed and sold, the rest, as they say, is history. Jim Morrison Construction today builds some of the most meticulously crafted and demanding luxury homes around the North Shore of Lake Tahoe and in Martis Camp. As Morrison’s business flourished, he found love and started a family. He married Katie Jackson, a commercial real estate agent, and they had two children—Hannah and Wyatt. Like many Tahoe residents, those carefree early days of skiing as often as possible were slowly replaced by new passions and commitments—long days in the office and on the jobsite, and the deep joys of raising children. Along the way, he continued to quietly tick off a list of skiing accomplishments that would be the envy of most professional skiers—hair-raising ski lines in the Eastern Sierra, where an unwritten ethic of not claiming first descents kept the achievements below the radar, as well as technical descents in Tahoe and Chamonix. Morrison had ski sponsors from an early age, but as his skiing career matured he made a choice to sacrifice the commercial side of the sport for the pure passion of making his own decisions in the mountains. Morrison’s humble exploits earned him respect within the skiing community, but only occasionally would the rest of the world get a glimpse of what he had been up to—often when a photo popped up on a ski blog or ski magazine of him charging some steep Sierra Nevada couloir deep in the range (Morrison is featured on the cover of Tahoe Quarterly’s 2017 Ski & Ride issue). In 2011, Morrison’s life was unexpectedly shattered by tragedy. His wife Katie, by that time a member of the Truckee Tahoe Airport Board and a seasoned pilot, was flying home from a trip to Southern California with Hannah and Wyatt when they encountered foul weather. Other aircraft in the area had reported icing problems, wind shear and severe turbulence. After encountering the weather, the plane suddenly began to spin uncontrollably and lost altitude rapidly, crashing into the ground near Barstow, California. Katie, Hannah, age 5, and Wyatt, age 6, all died in the crash. In the days following the tragedy, and even in the years after, Jim says it was the Tahoe community that helped him through those unimaginably dark times. “The support that I got when I lost my family was what kept me alive,” says Morrison. Even with that support, the deep grief and sense of loss was almost impossible to bear. “I still find myself in a terrible, terrible place asking myself what I did to deserve this,” says Morrison. Slowly, Morrison turned back to the mountains as a way to heal his heart. “I started to go outside and climb up hills and ski back down, because it was something I loved and it was really good for me—and over time I found my way back to my life’s passion, which is skiing,” says Morrison. 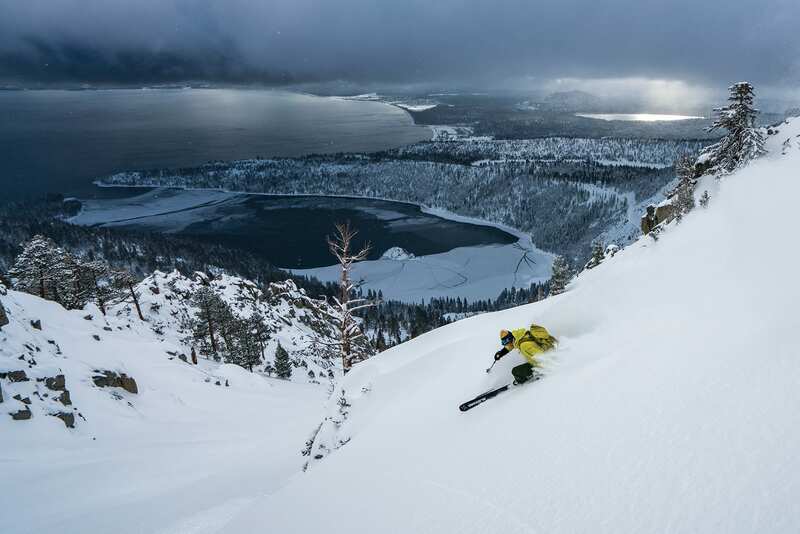 After the tragedy, he would pull up in the skintrack on Jakes Peak on Tahoe’s West Shore and find himself awash in tears over the overwhelming loss. But he kept moving, even taking up running, something that was one of Katie’s passions, as an outlet and a motivation. He trained for the Lake Tahoe Ironman, and when that event was cancelled because of wildfire smoke, he flew to Tennessee the next week and completed an Ironman there. He returned to the mountains daily, finding solace and inspiration on the trail, in steep snow and in the community of like-minded friends who joined him on adventures. But while he might have been leaning heavily on his friends and family for support during the difficult process of recovery, they were learning from his determination and resolve to continue to live life to the fullest. “To take what is one of the worst tragedies you can think of and turn it into something where his wife and children are looking down on him and saying, ‘Good job’—it speaks to his character and fortitude,” says Chris Davenport, one of the world’s most acclaimed big mountain skiers, who met Morrison in Chamonix in the 1990s. While John Morrison knows that the loss of his family left an “unfillable hole” in his brother, the way Jim has approached life after 2011 inspires him. “He has taught us all so much. That lesson to wake up and take a positive step each morning,” says John. Beginning in 2013, Jim Morrison began a series of trips to the highest mountains in the world that would eventually lead him to Lhotse. In 2013 he climbed 22,349-foot Ama Dablam. In 2015 he set out on a mission to climb and ski Makalu, the fifth highest mountain in the world. That team included Tahoe residents Adrian Ballinger and Emily Harrington, as well as Nelson. Although they skied from higher on the mountain than anyone previously had laid tracks, the summit eluded them because of high avalanche danger. But that first taste of high-altitude skiing intoxicated Morrison. “When I was skiing at 25,000 feet, making three turns at a time and stopping, I was like, ‘This is crazy. Why are we working so hard to ski this crazy snow? This is barely skiing. I should be in Alaska.’ But then weeks and months after coming back, I was like, ‘I can’t wait to get back,’” says Morrison. Then, in 2017 and 2018, Morrison and Nelson ticked off a mind-boggling series of summits. As a warm-up they skied a number of prime couloirs in the San Juan Mountains near Telluride, Colorado, some of which are skied only on big snow years. Then they headed to a remote section of the Indian Himalayas to climb and ski an intimidating pinnacle of snow and ice called Papsura, affectionately nicknamed “The Peak of Evil.” While the elevation, at 21,165 feet, was lower than some of the monster peaks of Nepal, Tibet and Pakistan, the technical nature of the climb and ski more than made up for anything it lacked in elevation. 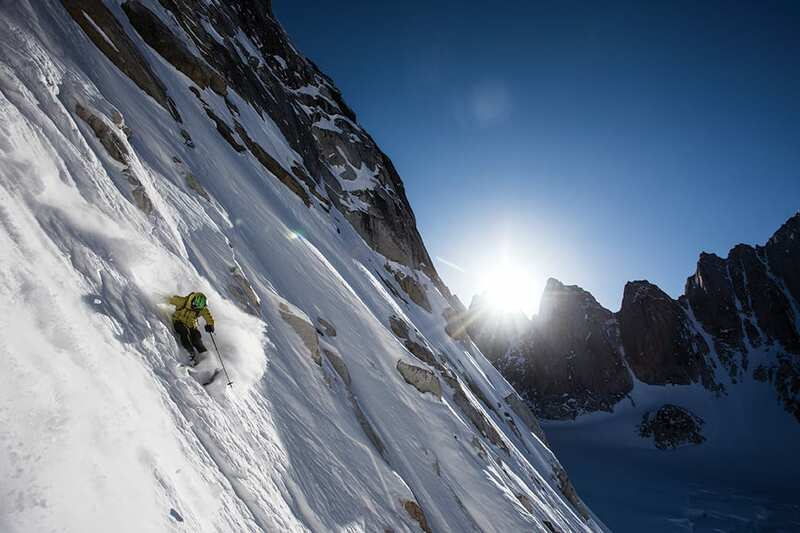 Because of the peak’s remote location and ice-clad face, it had never been skied before. Morrison and Nelson found themselves on such vertical terrain that they were clinging to what Morrison called an “ooze of glacial ice” with all four, ice-tool-outfitted appendages. When they reached the summit, the weather turned, and the peak was enveloped in a disorienting wreath of clouds. After waiting for three hours for better weather with no luck, the group clicked into their skis and skied off the summit into a vertigo-inducing fog. The descent, which was already going to be at the limits of their skills, had become even more touch-and-go. 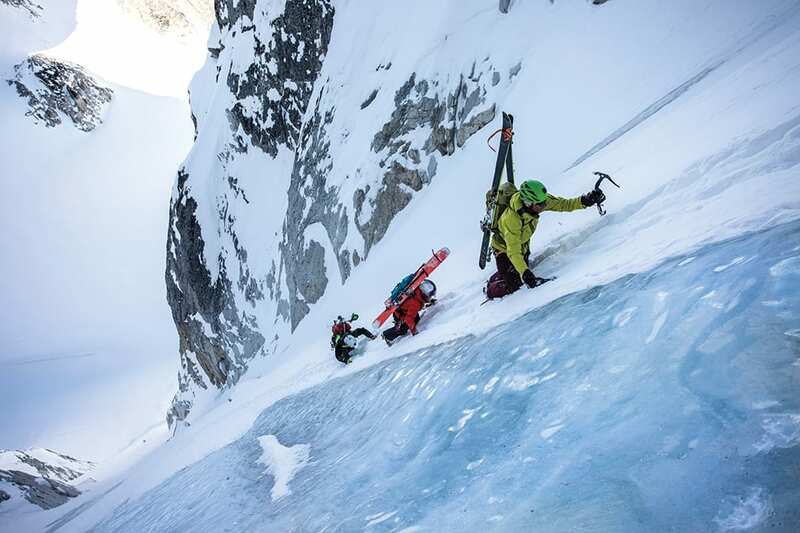 The team skied the face they had ascended, stopping after every few ice-skidding turns to place screws into the face for protection in the dangerous terrain. “It was extremely technical skiing with a lot of slide-for-life ice, but with snow linking the thing,” says Morrison. The visibility made it hard to see what was skiable snow and what was near-vertical ice that would skid a skier off into oblivion. “It was definitely descending on skis. We weren’t shredding,” says Morrison. After collapsing in their tent and resting, a storm blew over the mountain, dropping a fresh layer of snow on the peak. In the morning, the sky cleared, revealing that every indication of their accomplishment had been wiped clean by fresh snow. 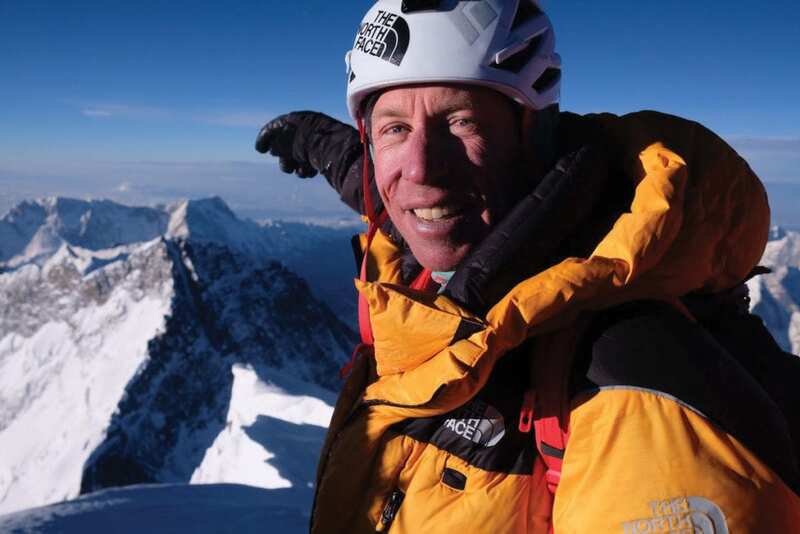 The audacious climb and ski earned Nelson the distinction of National Geographic Adventurer of the Year for 2018. But the duo did not rest. 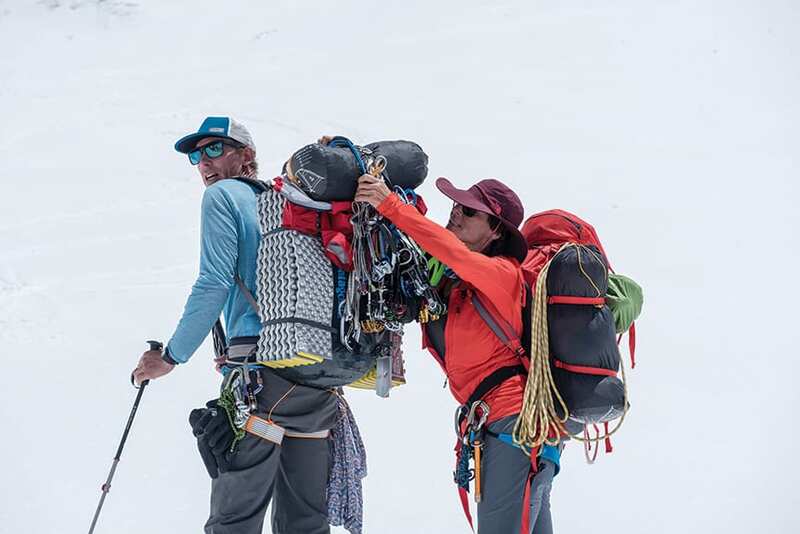 Soon they had packed their bags for Denali, and ended up summiting the 20,310-foot Alaskan peak twice in a week, while also skiing the iconic Messner Couloir and completing a separate ascent of the Cassin Ridge, a technical climbing route to the summit. In the spring of 2018, Morrison summited and skied Cho Oyu and climbed Everest in a single trip. He nearly summited Everest twice, having to turn around just before the peak because of an oxygen mask malfunction, and then returned days later to summit and ski a part of the mountain. His brother and regular skiing partner says Morrison’s innate drive and energy level have served him well in a sport where a strong mind is as important as physical stamina and skill. “He’s an incredibly driven individual. He’s got that conquer-the-world personality,” says John Morrison. Tahoe resident and professional skier Michelle Parker met Morrison about five years ago on a trip to the Eastern Sierra. She has since traveled with him to remote peaks like the Kichatna Spires in Alaska. “We are both fire signs and I think when fire meets fire it starts this bonfire of stoke,” says Parker. “Jim is one of the most solid skiers that I have ever skied with in my life. He is cool, calm and calculated, but then we also get these wide eyes. 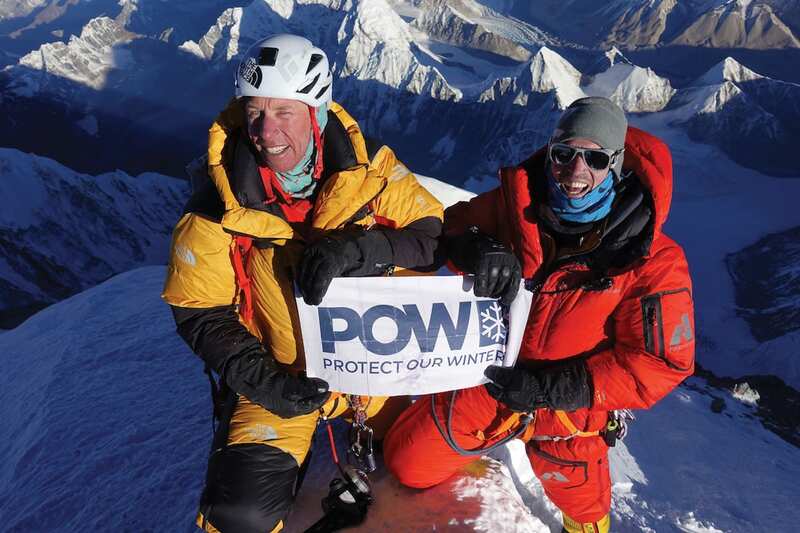 As Morrison rapidly gained experience in the world’s highest mountains, he and Nelson’s relationship as ski mountaineering partners grew into something more. Finding love with someone with the same passion for high-altitude adventure pushed the duo to plan and launch increasingly ambitious expeditions. Nelson, a leader of The North Face athlete team and one of the world’s most respected mountaineers, found a kindred spirit in Morrison and quickly learned that they saw eye-to-eye on everything from planning logistics to route-finding in the mountains. The connection is so natural that “sometimes we don’t even need to say anything,” says Nelson. Morrison credits Nelson with the inspiration and partnership that has helped him achieve things in the mountains that he dreamed about as a kid. Parker says the new power couple of high-altitude ski mountaineering has all of the skills, stamina and drive to keep pushing the sport forward. “They are the dream team,” she says. 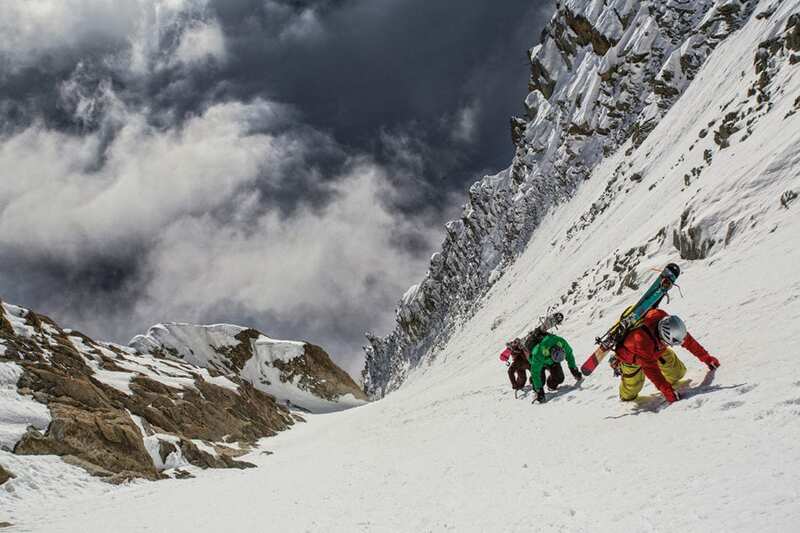 Despite its obvious ski potential and location in the highest trafficked area of the Himalayas, the Lhotse Couloir had repelled even the most audacious ski mountaineers for generations. Its mix of extreme altitude, fickle snow and sheer steepness made it a universal, yet elusive, fantasy. Its rarified location and the direct line it had to the summit earned it the “Dream Line” moniker in skiing circles. 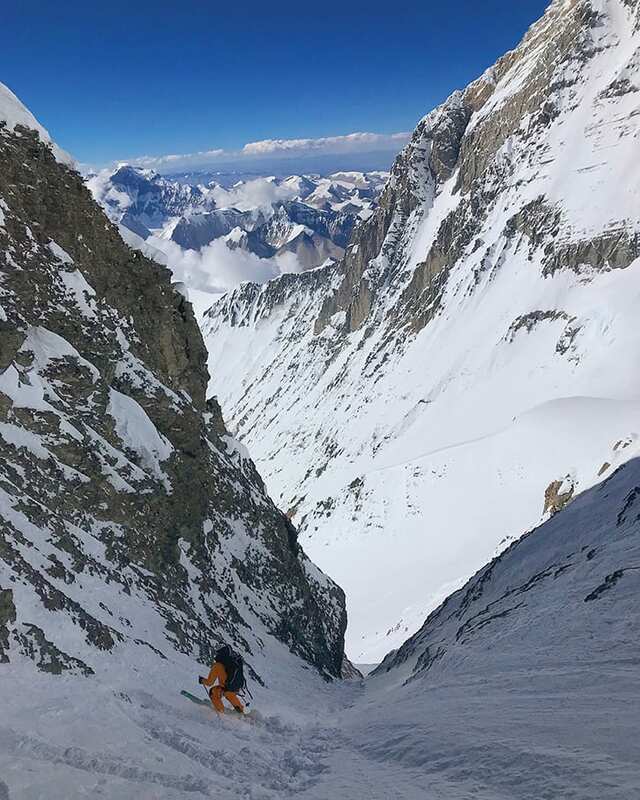 After K2, the second highest mountain in the world, was skied by Polish ski mountaineer Andrzej Bargiel in July, the Lhotse Couloir stood alone as the greatest remaining ski descent yet to be completed. “Those were the last remaining two big problems,” says Davenport. Lhotse was first climbed in the spring of 1956 by Swiss mountaineers Ernst Reiss and Fritz Luchsinger. But, as noted in their reports from the expedition, the terrain was formidable, even as a climb. “Although its ridges and faces were defended by precipitous pinnacles and rock steps which could hardly be climbed at that altitude in any reasonable time, the length of the northwest face was cut by a frightfully steep couloir that led directly to the depression beneath the summit,” wrote Jurg Marmet, a member of the Swiss expedition, in the American Alpine Journal. The expedition climbed the couloir to the midpoint, where they found the crux held very little snow. “The gulley was interrupted here by a band of reddish rock. For a rope length the snow gulley rose upward only a few feet wide. With hands on both sides, Reiss and Luchsinger worked their way slowly upward, belayed by pitons. The chimney was extremely steep and difficult, but climbable,” wrote Marmet. Today, virtually all of the Everest and Lhotse climbs occur in the spring, when a window of good weather usually opens up and teams of climbers work together to fix ropes and place ladders over the jumble of seracs at the base of the climb. But in that season the couloir is often stripped of snow. The best potential for snow on the mountain is in the fall—a season that would leave a climbing expedition alone on the mountain to climb through untracked snow in fickle weather with more avalanche danger. While the deep snow and the lung-burning labor of setting a high-altitude route to the summit was challenging, Morrison and Nelson had good fortune with snow stability and weather. For much of the trip, Morrison and Nelson were cut off from the Internet. When they finally got back to civilization the wave of recognition and congratulations they received from the skiing community took them by surprise. Skiers like Davenport cheered the duo on as they heard reports from the mountain. “It couldn’t have happened to two better people,” says Davenport. When Morrison and Nelson arrived back in Tahoe from the expedition, a huge handwritten banner hung over Morrison’s doorway congratulating the partners on their success, with personal notes scrawled by hand by countless Tahoe friends. “It’s incredible to have this huge community that is so psyched to give me a high-five and welcome me home,” says Morrison. All of Morrison’s recent exploits in the mountains have taken on a new meaning since his loss in 2011. But one moment stands out in his mind as particularly transcendent. On Everest, Morrison found himself alone at the front of the climbing team. Behind him Adrian Ballinger was guiding Greg Penner, the chairman of Walmart Corporation, and Neal Beidleman, famous for his part in the 1996 Everest expedition about which Into Thin Air was written, followed. As Morrison walked toward the roof of the world with the sky just beginning to show the first hints of sunrise, a feeling of incredible peace came over him. “I was right on the edge of the earth’s atmosphere, climbing by myself, in this blissful state and extremely calm, and I felt like I was closer to the Netherworld and I was closer to my family than I have ever been since I lost them. And it was a really significant moment for me,” says Morrison. Morrison waited below the summit, not wanting to step foot on top of the world until the sun rose, and not wanting to let that feeling of connection to his family pass. Later that year, on Lhotse, he hoped he might enter that realm again, but it was not to be. 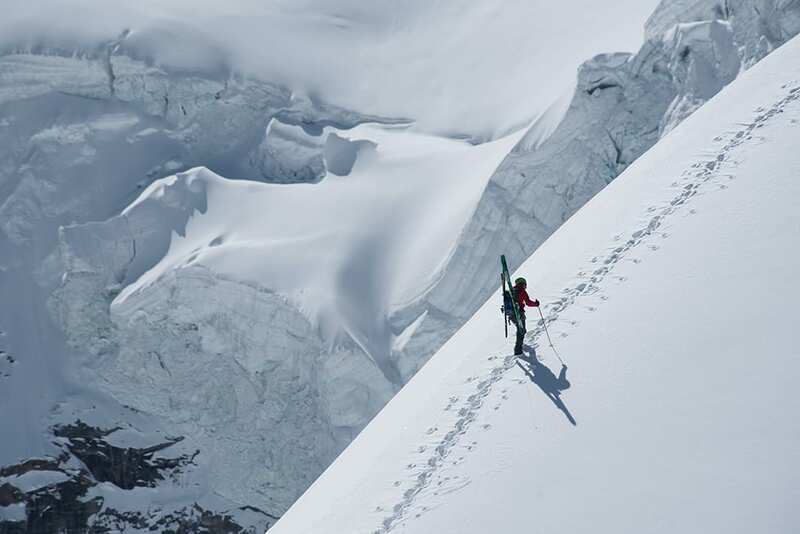 “When I was on Lhotse I was really desirous to get above 8,000 meters thinking I would get back in that connected place. But in reality I was with Hilaree and we were climbing without oxygen and it was really, really hard,” says Morrison. Still, that moment stays with him. And the mountains are still there, beckoning him to come back and experience those mysterious moments where pain, grief, joy and exhilaration mix into moments of transcendent beauty. David Bunker is a Truckee-based writer and editor. Well written David. Jim, along with his brother, his departed family, and his close friends and his “love” have shared in a very exhilarating life….. look forward to more of your writing….